Board of Directors - Child Action, Inc.
Jaclyn White joined the Child Action, Inc. Board of Directors in February 2016 and will serve as its President beginning in 2018. No stranger to Child Action, Inc., Jaclyn worked at Child Action for 36 years originally hired as a Resource Specialist in 1978. 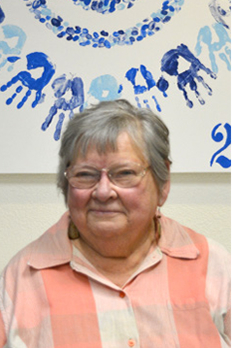 She retired in 2014 after serving as the Director of the Child Care Resource and Referral Program for many years. She earned a Masters of Education degree from the University of Illinois and was an adjunct instructor at American River College for twenty years teaching courses in Child Development and Adult Supervision. In 2010 she and members of the Child Action, Inc. Resource and Referral Program were certified as Brazelton Touchpoints instructors. She brings a wealth of knowledge on early childhood issues, as well as an in depth understanding of Child Action’s services and history in the Sacramento community. Tracy Tomasky believes that everyone is a leader, whether in your organization, community, home or leader of your own self. As CEO and leadership coach in her company, Leaders Evolving, Inc., she works with individuals, businesses, and organizations to enhance those abilities and develop approaches to leadership that make a long-lasting impact. She is committed to helping her clients discover their courage to lead with integrity, authenticity, and a strong connection to their team. Throughout her 30 year career as a key executive in business and education, Tracy learned firsthand that successful leadership relies on successful relationships. As a valued education director, she led a large school district department serving 4,200 children and families for more than 10 years. She has served in leadership roles for local, statewide, and national organizations and board associations. Tracy is the author of The Conscious and Courageous Leader; Developing Your Authentic Voice to Lead and Inspire. She believes that the most effective leaders are driven by their core values, and she is currently demonstrating that in her commitment to social justice work as a leader with several organizations in Northern California. Tracy Tomasky holds an Ed.D. in Organizational Leadership from the University of LaVerne. To learn more about her work, please visit: www.tracytomasky.com. Diane Cromwell has participated on the Child Action Board for the past twenty plus years serving in a variety of board positions. 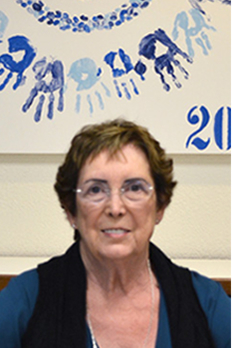 She is retired from Los Rios Community College District – American River College where she was the Child Development Center Supervisor for twenty three years. She also was an Early Childhood Educator of the students attending the college. She served on many Child Development local and state committees with the State Department of Education, county office of education and department of social services. She prepared herself for this career with her education first at American River College then Sacramento State for her Master’s in Education, Early Childhood Education. She is a graduate of the Infant/ Toddler Caregivers at West Ed. Currently she spends her time consulting programs, caring for her great nieces and nephews. And her first love quilting. She has been married for 50 years to the love of her life. Mary Jane Maguire-Fong is a retired professor of early childhood education, having served 25 years on the faculty at American River College. As an author, speaker, and consultant, she continues to work for the benefit of young children, their families, and the early childhood professionals who serve them. Mary Jane is a consultant for the WestEd Center for Child and Family Studies and serves as faculty for the Program for Infant-Toddler Care. She has been a preschool teacher, an infant center director, and an administrator for early childhood programs in the migrant farm worker community. She is the author of the 2015 Teachers College Press book Teaching and Learning with Infants and Toddlers: Where Meaning Making Begins. 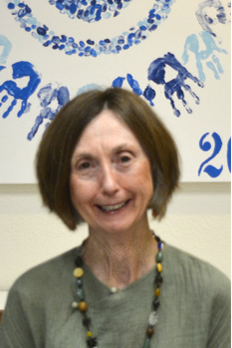 She was a contributing writer for the California Department of Education (CDE) Infant/Toddler and Preschool Curriculum Frameworks and the WestEd book Concepts for Care: 20 Essays on Infant/Toddler Development and Learning, and co-author of the CDE 2017 publication The Integrated Nature of Learning. Mary Jane holds a Master of Science degree in child development and a Bachelor of Arts degree in psychology, both from the University of California, Davis, and holds certification in Infant-Parent Mental Health from the University of Massachusetts. Margaret Tomczak, a mother of three, utilized family day care for her children while she was a Juvenile Probation Officer in Marin County .While there; she was trained by the Child Welfare of America to become a Foster Parent Trainer. Margaret relocated to Sacramento and became the Director of Foster Parent Training for the Chancellor’s Office of Community Colleges. Subsequently, she became the Executive Officer of the Sacramento County Children’s Commission during which she served on the county’s Child Death Review Team and assisted in the development of the Children’s Report Card. Margaret returned to Marin as the Executive Director of the Coordinated Youth Services Council of Marin. 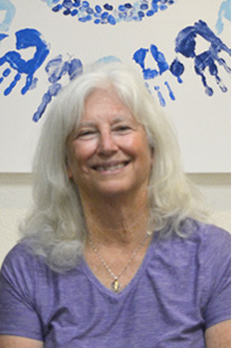 Margaret served in many capacities; a Charter member; National Foster Parent Association; lifetime member of California Foster Parent Association; member of Bay Area Placement Committee; Bay Area Recruitment Committee; and County Justice System Coordinator. She served on the Board of Directors for Planned Parenthood of Marin, South Area Emergency Housing, Sacramento Suicide Prevention, Sacramento YWCA and the Child and Family Institute. Margaret also served as an appointed member of the Juvenile Justice and Delinquency Prevention Commission of Sacramento County. She authored the Guide to Foster Parenting for the Chancellor’s Office, California Community Colleges. 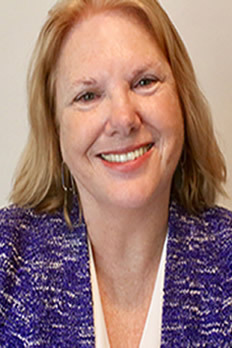 Margaret Tomczak holds a Bachelor of Arts in Psychology from Mills College and masters credits from the University of Southern California in Public Administration with an emphasis in Law Enforcement. Margaret was honored by the Sacramento County Board of Supervisors as a Hero in Human Services. Karen Finley brings more than 30 years of real-world experience in the education field where she passionately advocated for high quality learning and development programs, and educational resources for children and families. She has served more than 12 years as a teacher, and more than 18 years as an Early Childhood Education Coordinator with the San Juan Unified School District, where she coached teachers, administrators and educators to implement best practices aligned with student needs and learning and development goals. 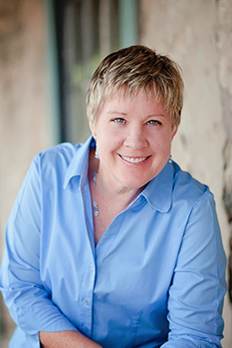 Today, Karen serves as an expert consultant for various training, coaching and professional development projects within the education industry. As a parent and grandparent, she has been both a recipient and provider of childcare services. She is now proud to serve on the Child Action, Inc. Board of Directors, where she is dedicated to supporting, empowering, and advocating on behalf of children and families in the Sacramento area. Karen holds an Administrative Services Credential, Multi-Subject Teaching Credential, and B.A. in Psychology from the California State University, Sacramento. 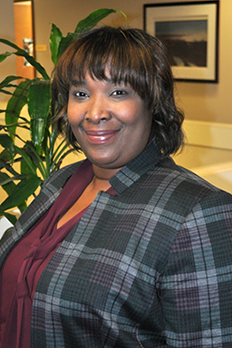 Chastity Benson currently serves as the California Counties Foundation Operations Manager for the California State Association of Counties (CSAC). In this role she is responsible for coordinating the operations of the Foundation, including overseeing and implementing CSAC Institute programs. She has spent her career working for various public sector organizations, including four years with the California Department of Finance as the Assistant to the Director where she functioned as the liaison to the Governor’s Office, Constitutional Officers, the Legislature, and many external stakeholders. Prior to that, she served as the Member Relations Coordinator for the California County Superintendents Educational Services Association where she managed the association’s conferences, events, and marketing/promotional materials. Ms. Benson credits her mother, Mary Benson, for her commitment to public service. For over 30 years, her mother dedicated her life to improving the lives of children and families as a member of the Resource and Referral unit at Child Action. Her mother’s commitment was an inspiring example of service that prepared Ms. Benson to embrace the core values of civic responsibility and become a caring, responsible and contributing member of her community. Ms. Benson received her Bachelor of Science (BS) degree in Business Administration from William Jessup University.